A Shade structure is available in a great range of colours, sizes and styles and suit both domestic and commercial applications. 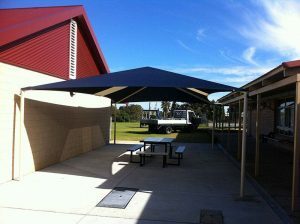 Shade structures are supplied as squares or rectangles. 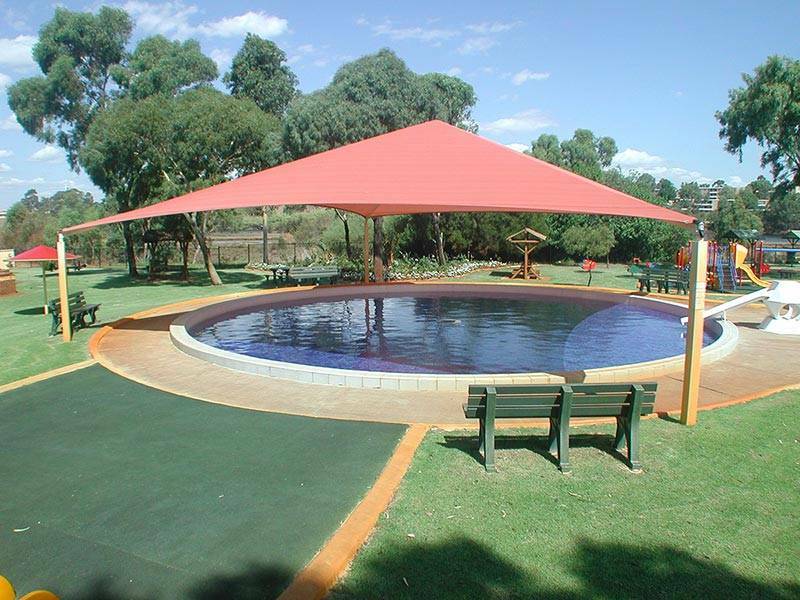 Shade Structures have supporting upright posts, either embedded in their own concrete footings, or on base plates. 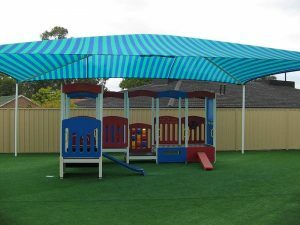 They have hips and sometimes a rafter in the roof structure and the shadecover is tensioned over the roof structure by a wire cable through a pocket sewn into the perimeter of the cover. 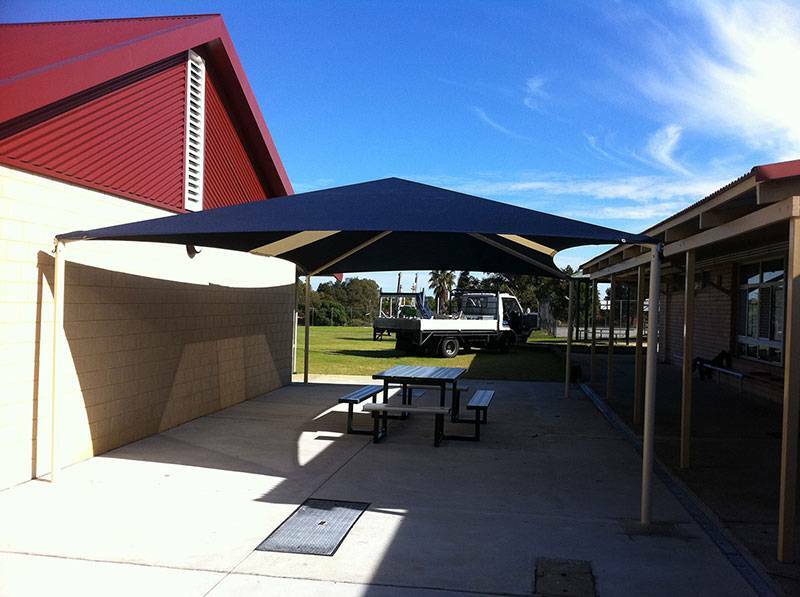 Shade Structure covers are fabricated from premium high grade extra heavy duty cloth offering up to 96% UV protection which has been interlock seamed with twin lock stitching. 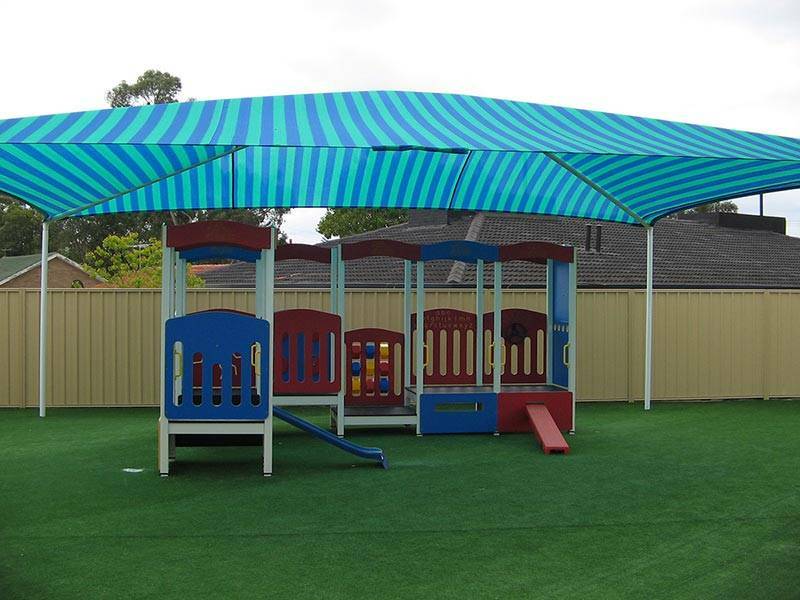 All corners are reinforced with PVC panels. 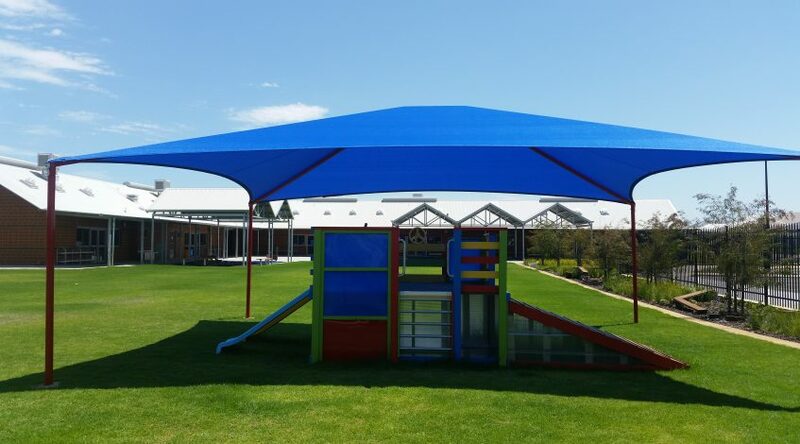 · All colour Shade Structure that “breathes” to allow hot air to flow out. · All reworked steel components are Hot Dip Galvanised.